POST YOUR DOSH AD ON YOUR TIMELINE! ​didn't want friends and family to see it on her timeline. It was EXACTLY this thinking that hindered her results. DOSH is NOT something you hide from friends and family. You share it with EVERYONE and ANYONE who will listen. DOSH is a family and friends, FRIENDLY app! This is the easiest thing I have ever seen for the average everyday person to save and make money with! You do not want to keep this to yourself! Share it and be EXCITED to share it! As soon as she fixed this , and took this first step that's when the referrals started coming in automatically. Lesson learned! Follow the STEPS! 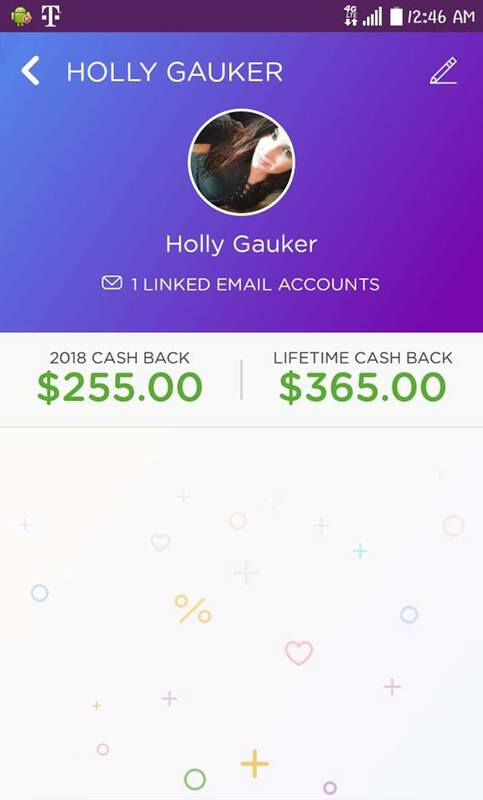 Holly posted in an ACTIVE yard sale group of over 68,000 members and got 42 likes and 111 comments on her ad. THIS IS WHY THE VERY FIRST STEP IS THE MOST IMPORTANT!!!!!!!!!!!!!!!!!!!!!! People will come to your profile and see your ad. They will click on the website and watch the videos. If they are interested they will contact you and sign up! This method is designed to save you time on talking to people individually and explaining DOSH to each person that comments. Not everyone will be interested so this is the reason you send them directly to the website! Think of the ads you place in the yard sale groups as if they were flyers you posted in busy places full of people. When people see your ad (flyer) they will click on your profile if it SPARKS their INTEREST. Once they are on your profile, CURIOSITY will lead them to check you out and see if you are a real person they can relate to! Then, they will read your DOSH post and go to the website for more information. ===>They might already have DOSH. ===>They might not have a credit or debit card. ===>They might not be interested after watching the videos. The point is, they don't know you! They don't know what you're offering them. UNTIL, they click on your profile, go to the website, and watch the videos to learn about DOSH. ONLY THEN, will they decide if they like what they see and get started or NOT. Remember this, people are skeptical. They are negative. They procrastinate. They are fearful. They are human! There are many, many, many reasons why they will NOT take action the first time they see something. Don't expect everyone you tell about DOSH to share your same excitement. NOT EVERYONE WILL SIGN UP THE FIRST TIME THEY SEE SOMETHING. This is why it's important for you to post about DOSH on your timeline consistently. they might be interested and sign up later. ​Then there are those people who get it! They see an opportunity and act right away! 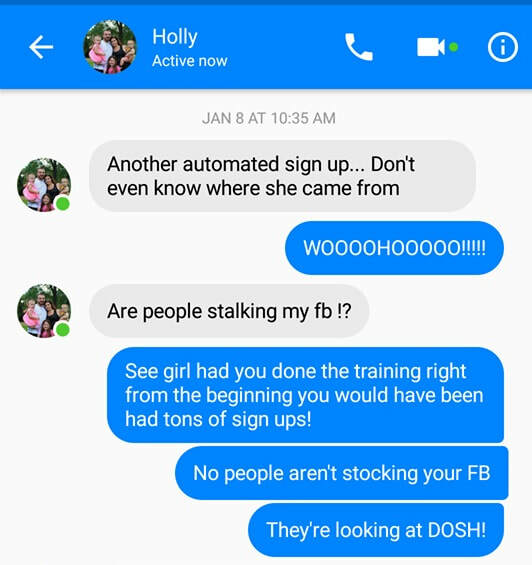 Those are usually the automated sign ups you will get if you are consistent in posting your ads! You get those automated sign ups by posting ads and sending people to the website in LARGE amounts. Thousands of people see your ad, hundreds of people go to your profile. Of those hundreds of people that watch the video, some will sign up and some won't. The ones that sign up, you follow up with them and make sure they link their card and confirm their email. Then you send them the training website so they can start making money with YOU. GET PAID! RINSE & REPEAT. KEEP IT SIMPLE.